Start or continue a great family tradition by taking a few moments out of your busy schedule for holiday portraits and create timeless memories of your children that you will cherish for years to come. 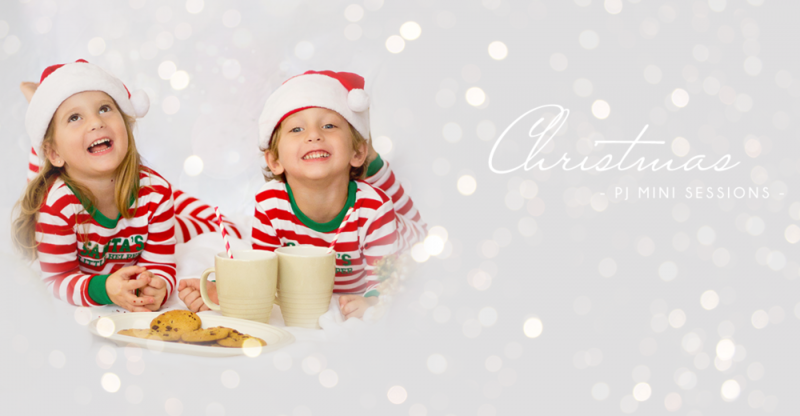 On November 24 & 25 it’s time for our yearly Christmas Mini Sessions! I want to do something different from last year, so I’m doing Christmas Pajama Sessions this time! I will put out a bed, comfy sheets, blankets and pillows and of course some Christmas decorations. I will also provide Christmas hats, faux presents and milk & cookies for accessories. And of course lots of fake snow again! All you will have to do is bring in your child in their cutest Christmas pj’s! Traditional red, red/white striped, red/green striped pajamas are preferred and will work great with the background and accessories but feel free to be creative with your little ones! If you need some inspiration just look up ‘Christmas PJ Mini Session’ on Google and you’ll get a feel of what we’ll be doing. Adding something new this year! On December 15 I will be introducing New Year’s Mini Sessions. Who doesn’t love a good party and what better excuse to take some fun photos of your children celebrating the end of 2018. Let’s make it a blast! 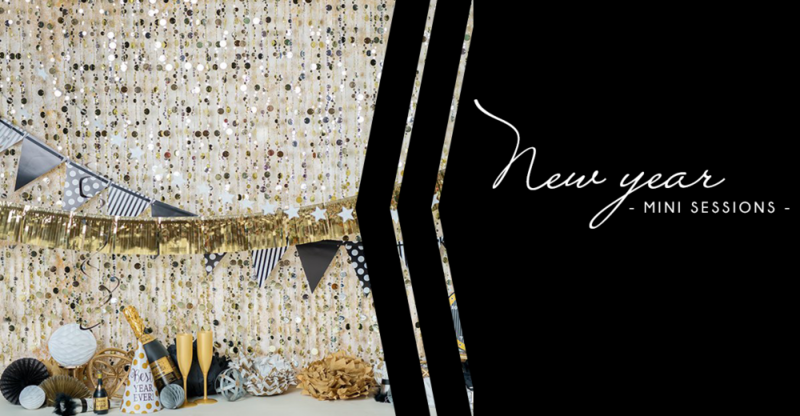 I will provide a festive background, some fun accessories and of course lots of sparklers and confetti! The background will be a combination of white, black and gold (see image above). For the prettiest results, try to stick to that color scheme for the clothing as well. Boys will be looking sharp in a nice black or white button shirt, girls can opt for their most sparkly dress – black or gold would look awesome! The price per mini session per child is Fl.100. The session will last 20 minutes and includes 5 fully retouched, high resolution, digital images. Combo special: if you book the Christmas & New Year Mini session together you will receive a 20% discount on the second session and only pay Fl.180! Mini sessions always book really fast and spots are limited, so make sure to place your reservation soon! For bookings please fill in the form below. Please note: If want to book for more than one child, please just use the form again to book for your other child(ren). Upon paying the session fee retainer, Madeline Hewitt Photography (“Photographer”) shall reserve the time and date agreed upon. Due to overwhelming demand during the holiday season, Mini Sessions may not be rescheduled and all sitting fees and retainers are non-refundable. The Photographer retains copyrights on all images and reserves the right to use the images and/or reproductions for display, publication, or other purposes. Under no circumstances can Client use these images for profit, commercial endeavors, in competitions, or for professional display.